Three versions of November 2018 calendar for printing and coloring. 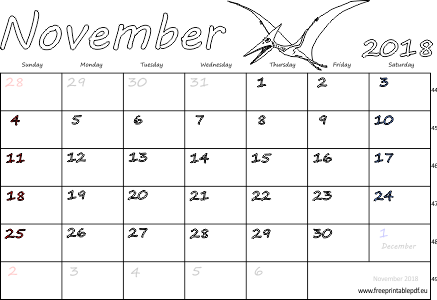 One calendar is blank, the US version is second, the UK is third. All November calendars with week numbers and pteranodon. Just download, print and enjoy! Can be used as monthly planners.